Jennifer was introduced to Mitch by her aunt. They went on a couple dates and pretty much knew they were "the ones" for each other right from the start! They get together each week for a trivia game night with Jennifer's family, and during one of the questions it asked "who is getting engaged today"? When Jennifer looked over, Mitch was down on one knee with the ring! 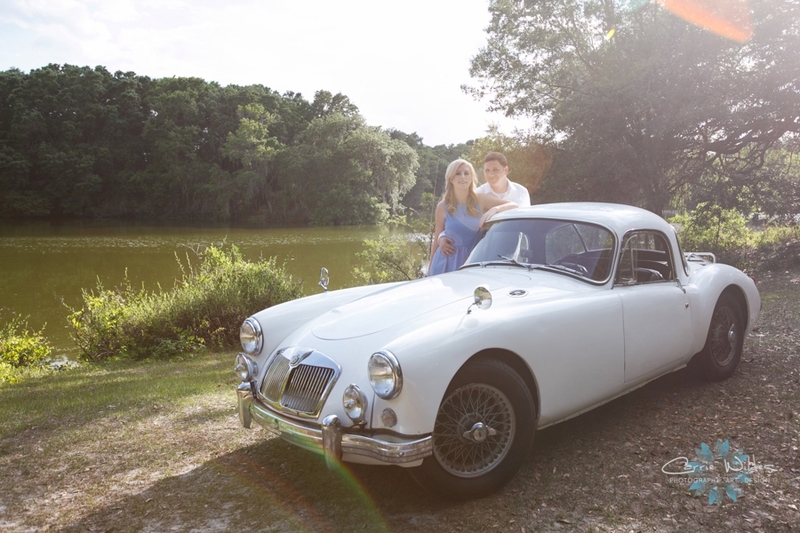 For their engagement shoot her Dad drove his classic car, a white MG, to Medard Park for us to get some shots with it. He has fully restored it himself, with the help of Jennifer's brother. 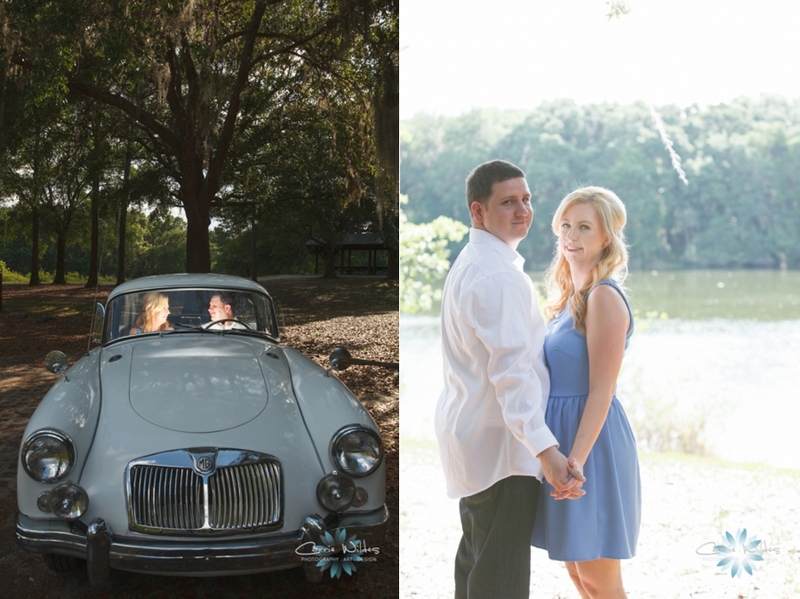 I LOVE Medard Park, it has SO beautiful spots for photos. They are getting married in October at Avila. We can't wait!